The City of Iona’s Public Works Department is managed by our Public Works Director Zech Prouse who has been an employee of the City for over 10 years. They are responsible for a large array of City’s services and strive everyday to make Iona a beautiful and safe place to live. If you have a concerns or questions regarding the City’s water system, streets, or parks please contact him. Planning and Zoning Meeting: The next Planning & Zoning Meeting will be held Wednesday, April 10th, 2019 at 6:30 p.m. and is located in the City Council Chambers at 3548 N. Main Street, Iona, ID. The agenda for this meeting can be found by Clicking Here! City Council Work Meeting: Will be held Tuesday, April 16th, 2019 at 6:00 p.m. and is located in the City Council Chambers at 3548 N. Main Street, Iona, ID. The agenda for this meeting can be found by Clicking Here! City Council Meeting: Will be held Tuesday, April 16th, 2019 at 7:00 p.m. and is located in the City Council Chambers at 3548 N. Main Street, Iona, ID. The agenda for this meeting can be found by Clicking Here! Want to know whats going on or make a reservation? 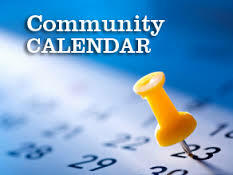 Check out the new Community Calendar! In our efforts to provide more reliable communications with the residents of Iona, we have implemented Swiftreach Networks, Inc. as our Emergency Notification service provider. If you are not receiving these notifications please click on the image to register. You may also remove yourself from our lists.